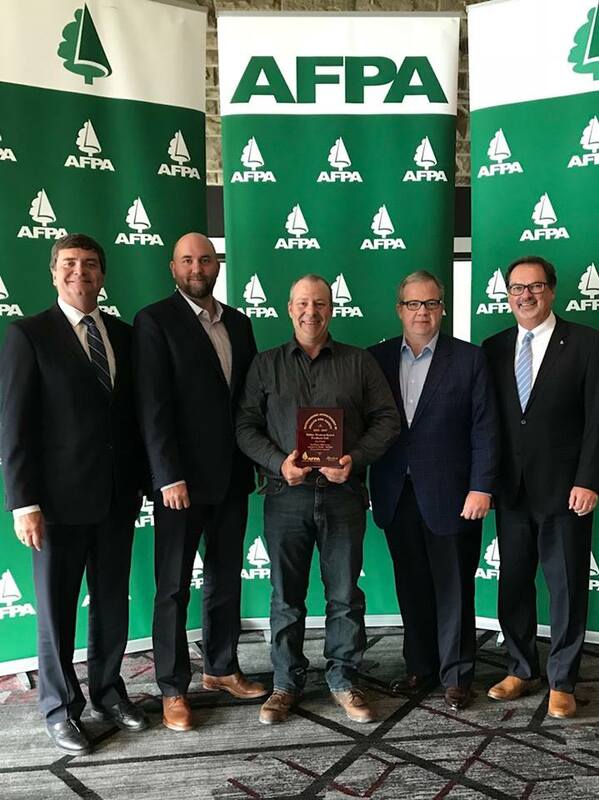 Congratulations to all employees at our Fox Creek and Whitecourt wood products operations, who’ve been recognized at the 2018 Alberta Forest Products Association AGM and Conference for exceptional safety performance. 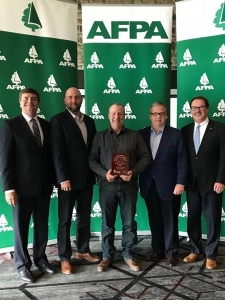 Our Fox Creek operation won the Health & Safety Excellence Award for 2017 in Sawmill Category1 (40,000-400,00 hours worked), while our Whitecourt operation won the Health & Safety Excellence Award for 2017 in Sawmill Category 2 (400,000+ hours worked). Fox Creek was also honoured for long-term commitment, winning the Outstanding Achievement in Healthy and Safety Award for 2015-2017! 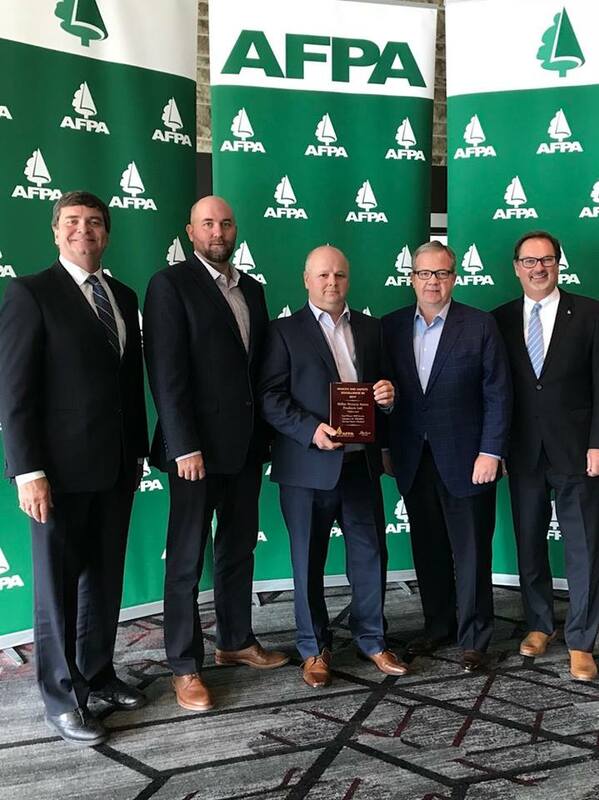 Presented jointly by the AFPA and Alberta Labour, these honours are a tribute to the dedication and hard work of personnel throughout our organization. The awards are welcome and well deserved… but the truly important thing our people are accomplishing? Making sure they and their co-workers get to go home safe at the end of each shift. 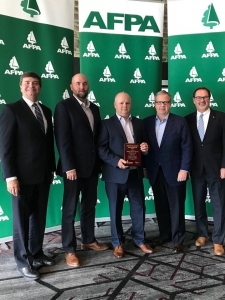 Shown accepting the awards on behalf of their teams are Fox Creek Sawmill Supervisor Darin Adamson (left photo) and Whitecourt Operations Manager Darcy Veillette (right photo), each accompanied by Agriculture & Forestry Minister Oneil Carlier, Millar Western Wood Products GM Tom Thompson and VP-Human Resources & Corporate Affairs Brian McConkey, and AFPA President Paul Whittaker.